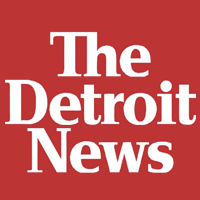 Detroit News- December 20, 2017 Edition. Dearborn ” Speaker after speaker who spoke out at a rally in Dearborn on Tuesday to protest President Donald Trump’s plan to declare Jerusalem Israel’s capital asked a similar question: Why now and what about the peace process? “What urgency was there?” said Dearborn Mayor John O’Reilly Jr., referring to Trump’s unilateral decision to recognize bitterly contested Jerusalem as the capital. Trump’s pivot Dec. 6 and his announcement that he would move the U.S. Embassy to Jerusalem, as required by a 1995 U.S. law, triggered condemnation and scorn from America’s friends and foes alike that he was needlessly stirring more conflict. But Trump has said his recognition acknowledged the “obvious” that Jerusalem is the seat of Israel’s government despite its disputed status that’s one of the key elements in the Israeli-Palestinian conflict. Trump also has said he would insist that issues of sovereignty and borders must be negotiated by Israel and the Palestinians. Among the estimated 300 people gathered at the Ford Community & Performing Arts Center were those who chanted “free, free Palestine.”. Signs carried messages such as “Palestine will be free” and “Ending apartheid, ending racism”.  Participants were asked to tweet @realdonaldtrump to make their voices heard. In addition to O’Reilly, community leaders included Dearborn City Council President Susan Dibaja, councilman Mike Sareini and the Committee for Jerusalem, which hosted the event. Other speakers included Michigan Council on American-Islamic Relations director Dawud Walid. Rula Aoun, executive director of the Arab American Civil Rights League, said an impassioned community turned out for the rally. “I came to show my support and to give the community a stronger backbone in this time of need,” she said.